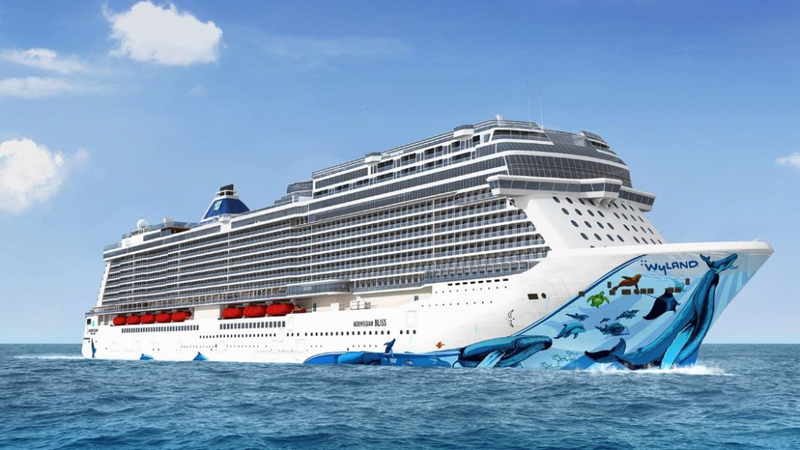 Norwegian Cruise Line’s latest addition, Bliss has reinvented cruising once again. The 4000 passenger ship feature many exciting entertainment options &amazing nightlife. Norwegian Bliss passengers tend to be Mixed Ages and International. When all cabins have double occupancy, the ship provides a space ratio of 38.8 tons per passenger and a crew to passenger ratio of one for every 2.4 passengers. At full capacity the space ratio is 38.8 tons per passenger and the crew ratio is one to 2.4 passengers. Feel free to follow your spirit, whether that takes you to a superb fitness centre, a sun lounger by the pool or to the serenity of a luxurious spa. Families play better together on Norwegian. From dodgeball to cupcake decorating, there are lots of activities all over the ships.